"Click. Coordinate. Catalyze. Using CuAAC Click Ligands in Small-Molecule Model Chemistry of Tyrosinase"
ChemCatChem, 2018 10, 5402-5405. DOI: 10.1002/cctc.201801606. "Tyrosinase model systems supported by pyrazolylmethylpyridine ligands: electronic and steric factors influencing the catalytic activity and impact of complex equilibria in solution"
Eur. J. Inorg. Chem., 2018, 3058-3069. DOI: 10.1002/ejic.201800319. Z. Allg. Anorg. Chem., 2018, 644, 652-656. DOI: 10.1002/zaac.201800061. 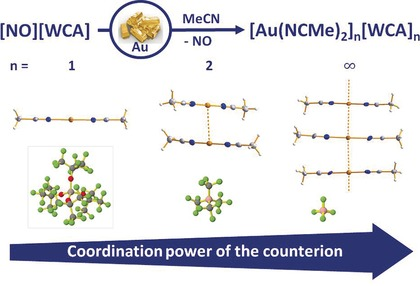 "Homoleptic Gold Acetonitrile Complexes with Medium to Very Weakly Coordinating Counterions: Effect on Aurophilicity?" Chem. Eur. J., 2016, 22, 15085 – 15094. DOI : 10.1002/chem.201602797. 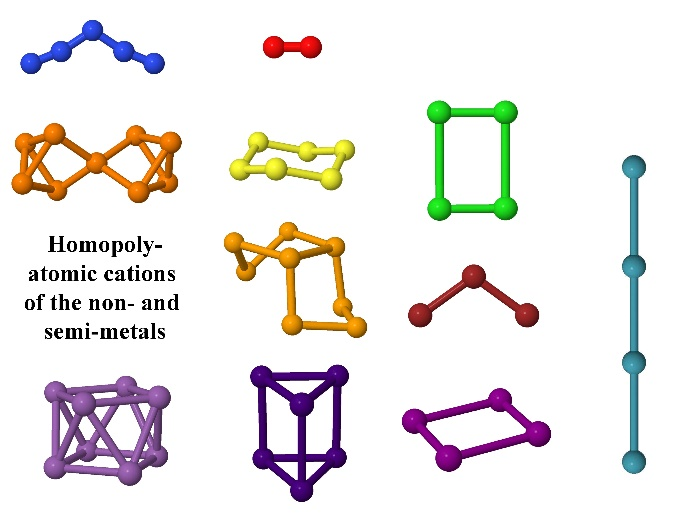 "Reactive P-Block Cations Stabilized by Weakly Coordinating Anions"
Chem. Soc. Rev., 2016, 45, 789-899. DOI: 10.1039/c5cs00672d. "Structural Changes Upon Oxidation of (PtBu2)2 and 1,4-(CH2)2(PtBu)4: Transannular P–P Interactions in Cations of the 1,4-C2P4 Ring"
Heteroatom Chem. , 2014, 25(6), 501. DOI: 10.1002/hc.21193. "Recent advances in the syntheses of homopolyatomic cations of the non metallic elements C‚ N‚ P‚ S‚ Cl‚ Br‚ I and Xe"
Coord. Chem. Rev. , 2013, 257, 946. DOI: 10.1016/j.ccr.2012.07.025. 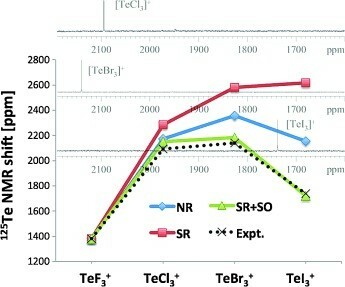 "[TeX3]+ Cations Stabilized by the Weakly Coordinating [Al(ORF)4]– Anion: FIR Spectra, Raman Spectra, and Evaluation of an Abnormal Halogen Dependence of the 125Te NMR Chemical Shifts"
ChemPlusChem, 2012, 77, 643. DOI: 10.1002/cplu.201200025. "[P9]+[Al(ORF)4]-, the Salt of a Homopolyatomic Phosphorus Cation"
Angew. Chem. Int. Ed., 2012, 51, 6529. DOI: 10.1002/anie.201201262. "Endlich positiv: [P9]+[Al(ORF)4]-, das Salz eines homopolyatomaren Phosphorkations"
Angew. Chem., 2012, 124, 6635. DOI: 10.1002/ange.201201262. 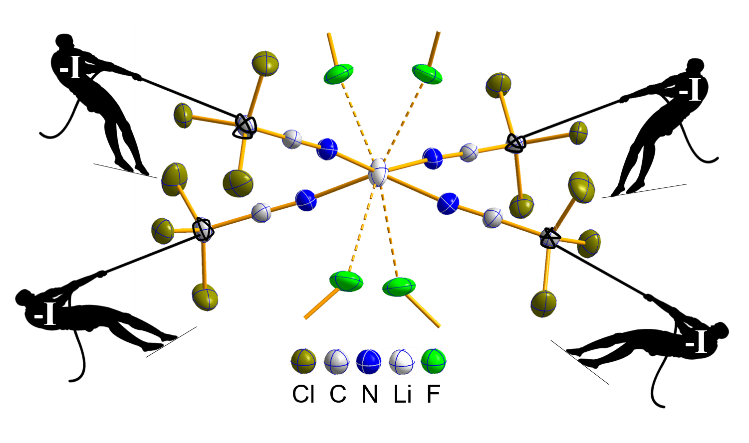 "In-Between Complex and Cluster: A 14-Vertex Cage in [Ag2Se12]2+"
Angew. Chem. Int. Ed., 2011, 50, 11253. DOI: 10.1002/anie.201104666. "Zwischen Komplex und Cluster: Ein 14-eckiger Käfig in [Ag2Se12]2+"
Angew. Chem., 2011, 123, 11449. DOI: 10.1002/ange.201104666. "The Reaction of White Phosphorus with NO+/NO2+[Al(ORF)4]-: The [P4NO]+ Cluster Formed by an Unexpected Nitrosonium Insertion"
Angew. Chem. Int. Ed., 2010, 49, 8139. DOI: 10.1002/anie.201003031. "Die Reaktion des weißen Phosphors mit NO+/NO2+[Al(ORF)4]-: Bildung von [P4NO]+ durch eine unerwartete Nitrosonium-Insertion"
Angew. Chem., 2010, 122, 8316. DOI: 10.1002/ange.201003031.